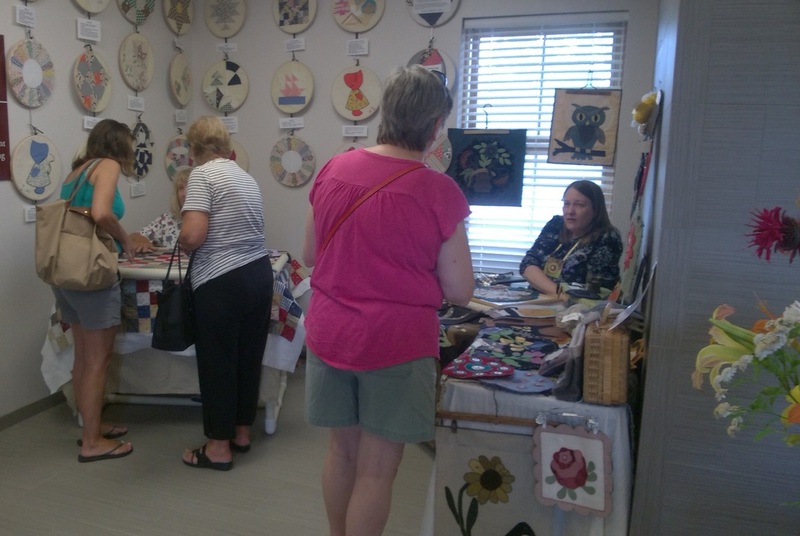 The Quilt and Needlework Show on Sunday, July 17 was a great success! 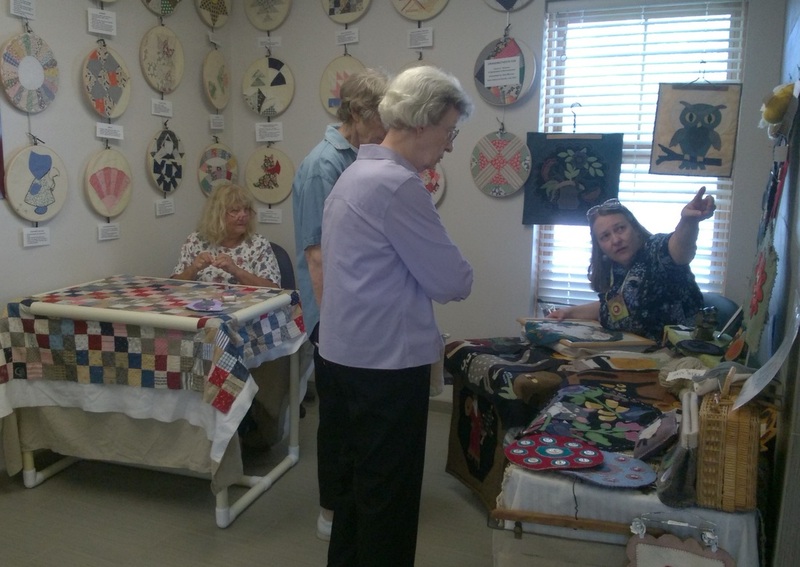 We displayed 55 quilts and 29 needlework items. 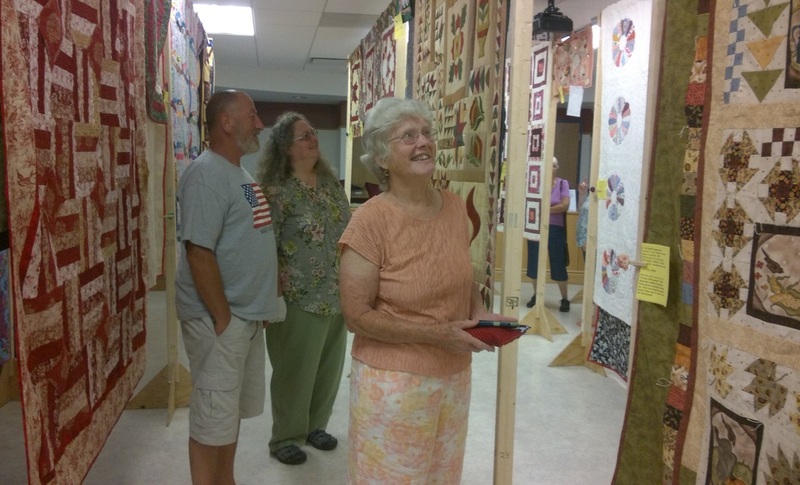 Show visitors voted for their favorite quilt and needlework item and it was fun and very hard to choose a favorite. The quilts ranged from antique, hand-sewn, hand-quilted quilts, to appliqued quilts, to machine-quilted quilts. There were traditional designs such as Dresden Plate Quilts to original designs. Sizes ranged from king-sized to wall-hanging size. The needlework items ranged from counted cross-stitch, to crocheted items, to knitted items, to a smocked dress. Again, it was fun and difficult to choose a favorite! All of the entries were absolutely beautiful and the Historical Societies of Knox and Berne were thrilled to showcase the talents of the community. 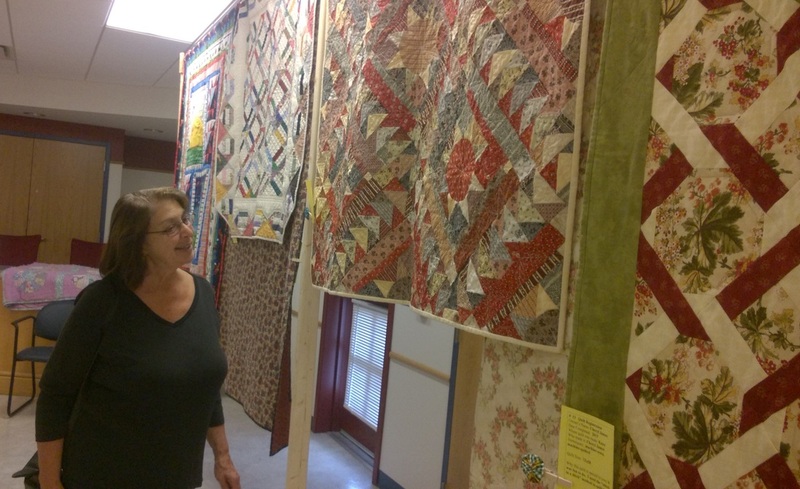 A demonstration of the art of hand-quilting was done by Pat Lightbody. Pat learned her craft years ago at the Knox Reformed Church where the dedicated Ladies Aid Society hand-quilted pieced tops. 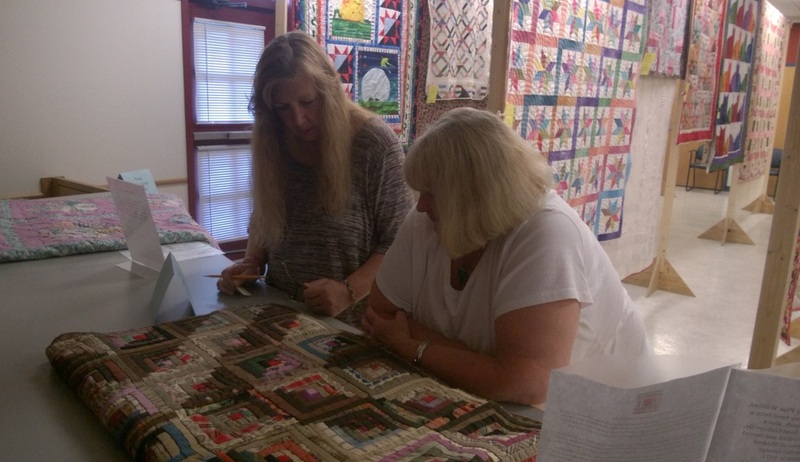 This group of quilters was widely known for their exquisite work and Pat demonstrated the work involved in hand-quilting. 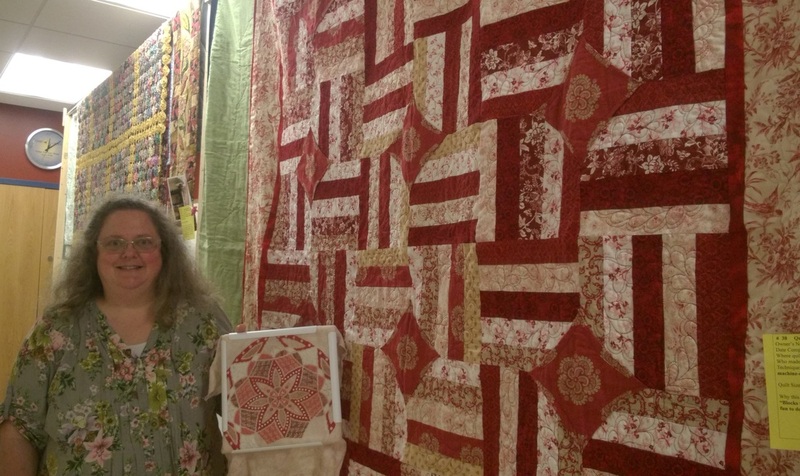 JoAnne Brady displayed penny-rug items she had made, many featuring her original designs. JoAnne explained the history of penny-rug making and demonstrated her technique. Cheryl Jones demonstrated loom knitting. Cheryl had looms of different sizes and shapes and demonstrated knitting a baby hat and a scarf. Cheryl completed the baby hat within an hour while simultaneously explaining the technique. A drawing was held to win an antique quilt donated by Cheryl James. Prizes were presented to the top vote-getters in the Quilt Division and Needlework Division. Township Tavern and Maple on the Lake donated gift certificates to the 1st Place winners in each division. MaryAnn Saddlemire, "Knox Pie Lady", donated gift certificates to the 2nd Place winner in each division. Third place winners received memorabilia from the historical societies of Knox and Berne. We truly appreciate the support of our corporate sponsors and encourage you to patronize them! 2nd Place (tie) - Ruth Norray photo not available. ​3rd Place - Dennis Barber - quilt made by his mother Nicolina Barber photo not available. 3rdPlace - Carol Barber - lace coverlet made by her Grandmother, photo not available. 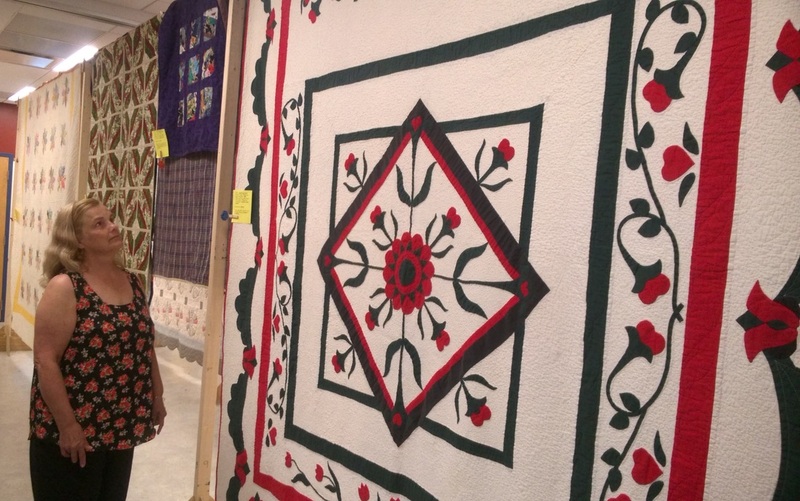 Visitors admired the display of "Granny Browne's" quilting techniques, featuring traditional patchwork and applique patterns. In the photos above, Dennis Barber, KHS President, points out the hoops made by Jane McLean. This display is in the Knox Town Hall lobby and will remain throughout the summer. Additional photos from the show. JoAnne Brady points out some of her Penny-Rug designs.